Jack Ruby's friend was a prize fighter - the Welterweight Champion of the world. Ruby's doctor's say Ruby was a prize fighter himself - find out how. Did Ruby's cards of Jada cost him his trial? Finally, why did they call him Sparky? 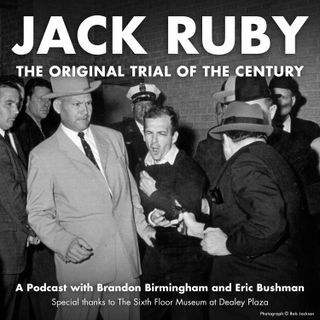 Eric Bushman and I answer all of these questions in this podcast - The State of Texas vs. Jack Ruby, the Original Trial of the Century.